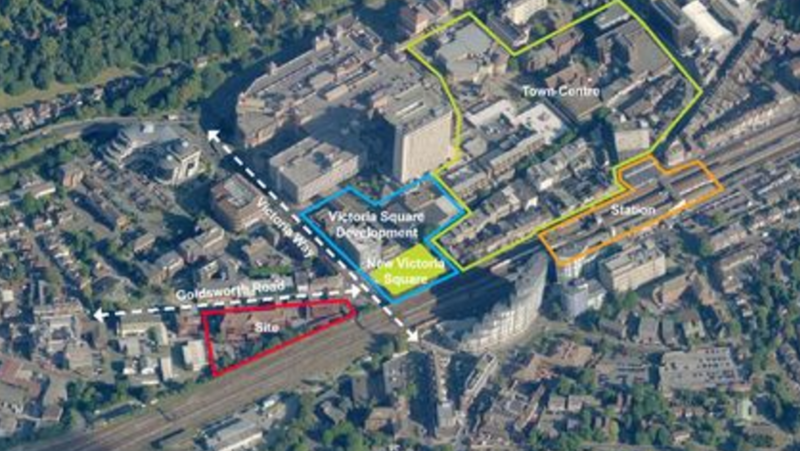 Willmott Residential has got the planning green light to deliver 560 flats in three landmark buildings in Woking. 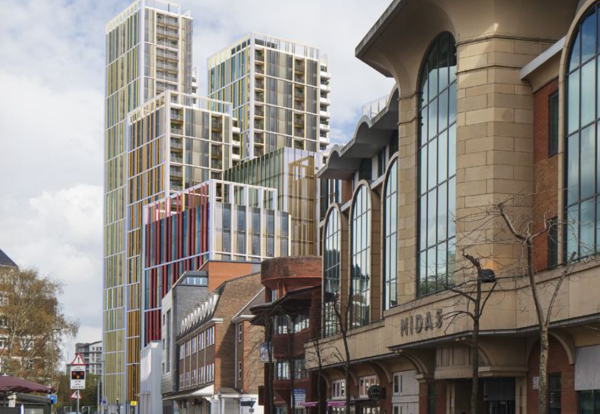 The high-rise residential scheme will consist of 17, 25 and 34 storey towers developed under the firm’s Prime Place brand on Goldsworth Road, close to the town centre and mainline train station with fast access to London. Willmott Dixon said it would appoint a contractor in a few months time for a start on the project next year. The development is a major catalyst for the further regeneration of the area with 100,000 sq ft of office space along with public realm improvements, retail space and new leisure facilities. The scheme lies to the east of a cluster of tall buildings planned for Victoria Square, with one of the tallest also rising to 34 storeys. 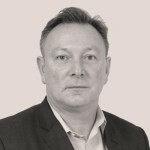 Willmott Residential chief executive Nic Simpkin said said the business now boasted 7,500 units in construction or pending development through the Prime Place and Be:here build to rent brands. By combining both Prime Place and Be:here on developments, Willmott Residential claims it can accelerate housing delivery by two years on large schemes of over 500 homes. 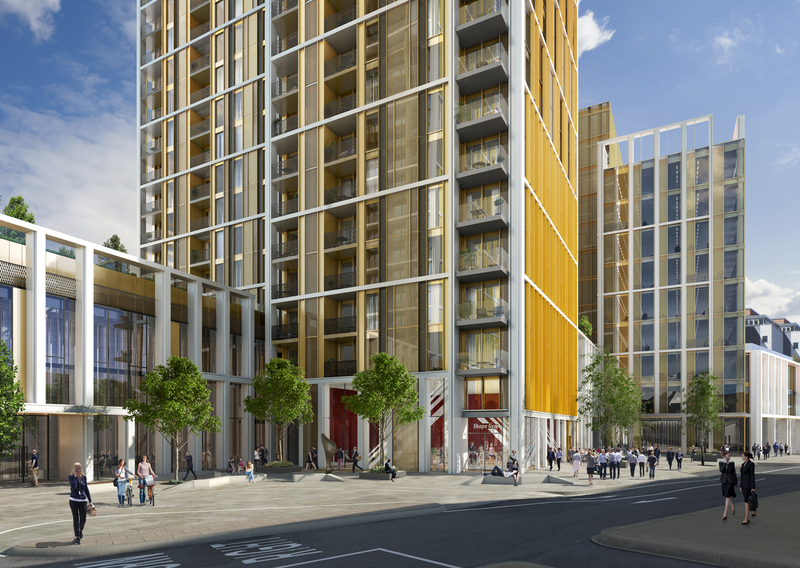 The Woking scheme builds on Willmott Residential’s current development track record that includes leading the 1,176 home regeneration of Aberfeldy Village in Tower Hamlets and being Brentford FC’s development partner for its 20,000 seat stadium and 900 home masterplan. Willmott Residential’s Prime Place brand is also working with Cheshunt School to cross-fund new facilities with 88 homes, and is development partner with Westminster City Council to create the Moberly and Jubilee leisure centres at no cost to the council by cross-funding the facilities with 155 homes on Kilburn Lane and Lancefield Street. On the build to rent side, Be:here is finalising the development of 118 homes for private rent at the site of the Old Vinyl Factory in Hayes and is working with Ealing on cross-funding a 50m pool complex with build-to-rent homes in the borough. Earlier this year, it also received planning permission for 600 build-to-rent homes in Barking and is currently preparing a pre-planning application for residential developments in Tulse Hill and Bromley.